Have you noticed a decrease in your HVAC’s heating or cooling performance? How about an increase in your utility bills? What about rooms that feel stuffy and stale? Are you tired of the on-off-on-off of your heater in the night? If your house has any of these symptoms, you might want to consider getting your ducts re-sealed. BCS Heating and Cooling is here to explain the benefits of having your Prescott home’s ducts resealed. 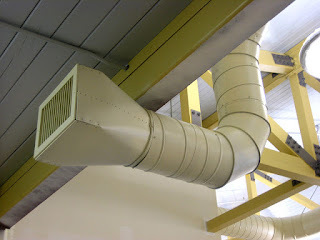 If your house has a forced air heating and cooling system, you most likely have air ducts. Ducts are used to distribute conditioned air throughout your house. In a typical house, however, much of the air is lost to holes, seams, and poor connections. The result is higher bills and lower quality heating and cooling. Sounds pretty bad, right? We think so too. Better regulate the air in rooms - By increasing airflow and efficiency, you can better cool and heat your rooms, and better maintain the temperature that you’d like. Save money - More efficient heating and cooling mean that you have to run your HVAC less to adjust and maintain a temperature, saving you money. Plus, it’s less noisy and creates less dust. Protect the environment - Most heating and cooling systems use non-renewable resources like refrigerant and fossil fuels, and much of the electricity the HVAC system runs on comes from fossil fuel sources. By reducing the usage of your heater and cooler, you can help save the environment a little. Even though the warm air is still here, in only a short time Winter will arrive, bringing with it all the cold drafts and chilly rooms. At this point you might be thinking to yourself “getting my ducts sealing is starting to sound like a really good idea!” That's where we come in. If you would like to seal your ducts, but don’t have the time yourself, give us a call at 928-445-9700. BCS Heating and Cooling is here for all your ductwork and HVAC repair needs.